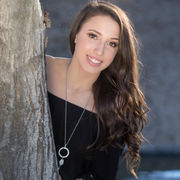 My name is Samantha Overbey, I am a freshman at Grand Canyon University studying to be a nurse. I currently have my CPR certification and am a CNA (certified nursing assistant). I have a history of teaching kids ballet at my old dance studio. I love kids, and look forward to meeting yours!